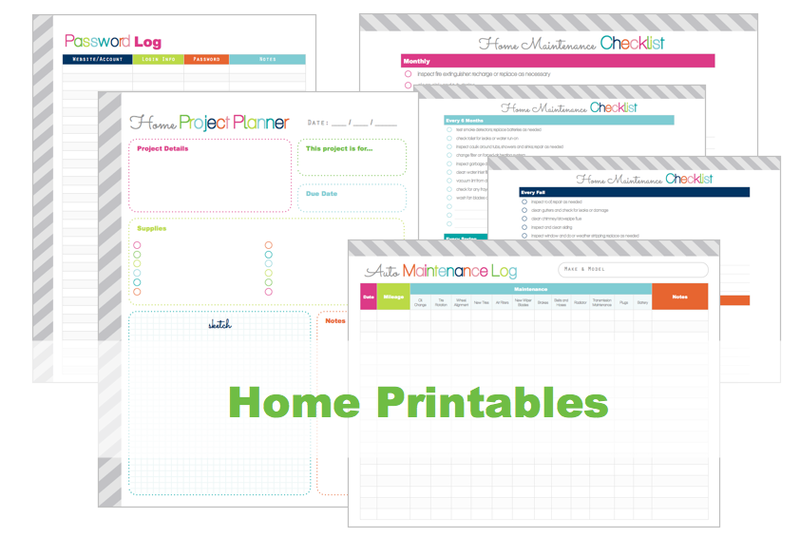 Clean Life and Home: The Mom Planner: Printable Home Management Binder! I'm very excited about this planner! 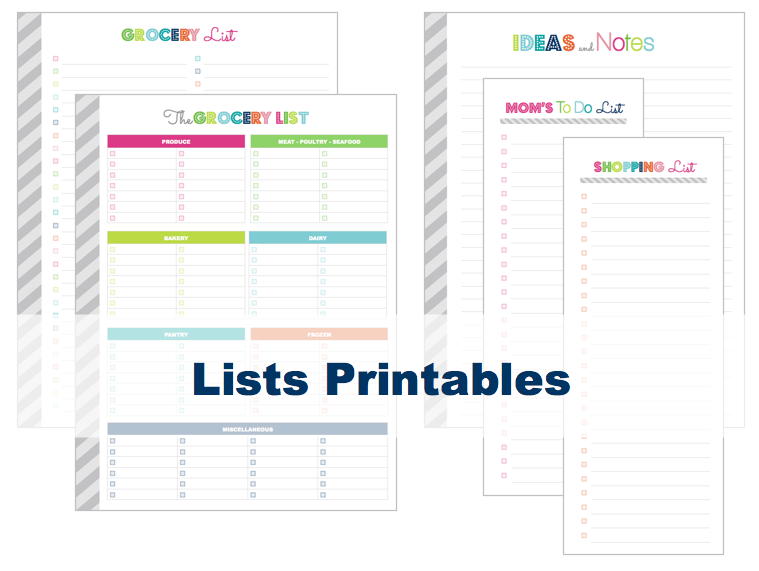 It covers all the bases for a busy mom looking to get everything organized! 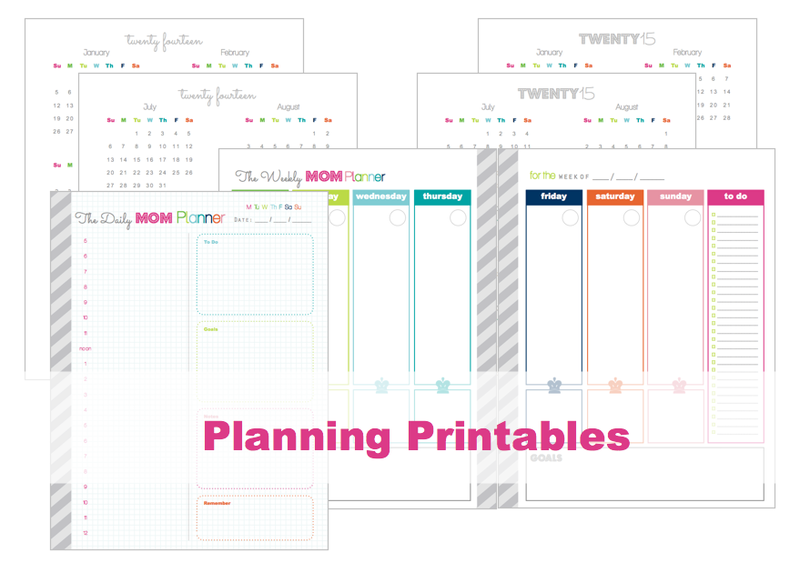 Visit my Etsy Shop to purchase The Printable MOM Planner! Keep reading for details and more photos! You'll find all the information you need about this planner below including: photos, screenshots, index, and printable descriptions as well as helpful tips and links! First let's take a look at the index. This page is included in the planner and shows you everything that is included in your planner! Take a look- it's all there! I'll go through each section of the planner and give you photos, screenshots and more info! Everything you need to know! 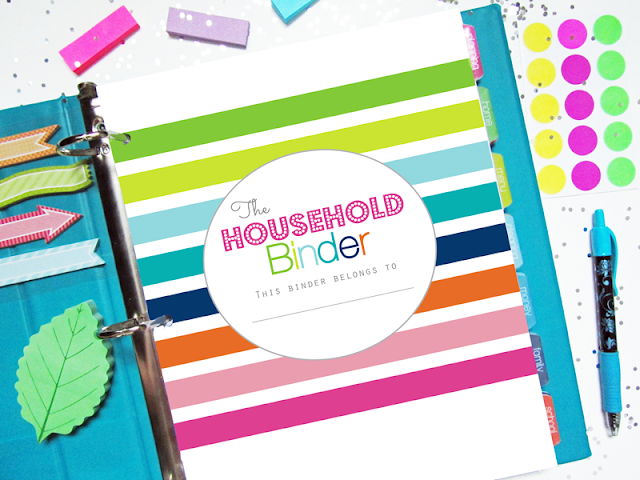 This planner is also available as a Household Binder! It contains the same contents, but with the word "Mom" removed from the covers and pages. 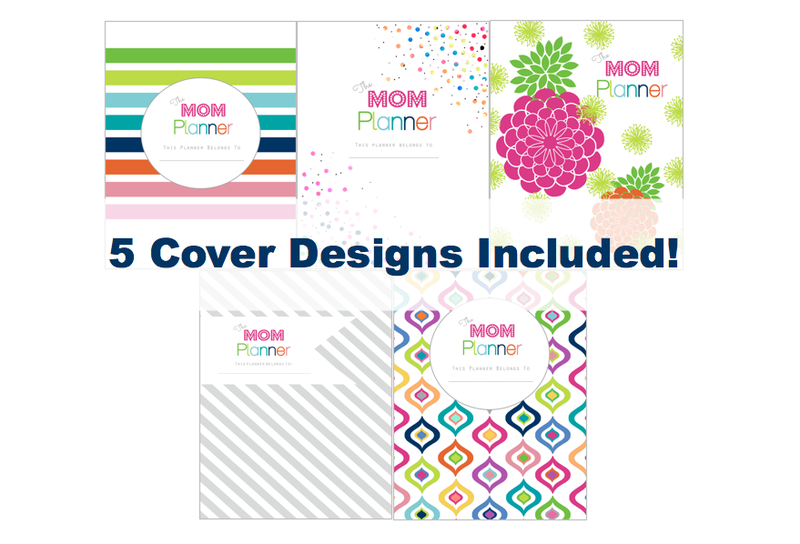 There are 5 colorful covers included with The Mom Planner! Each cover has a different theme and they are all unpersonalized. This allows me to include covers at no extra charge! All but one of the covers has a space to write in your name! The matching divider tabs and pages are designed specifically for this planner. 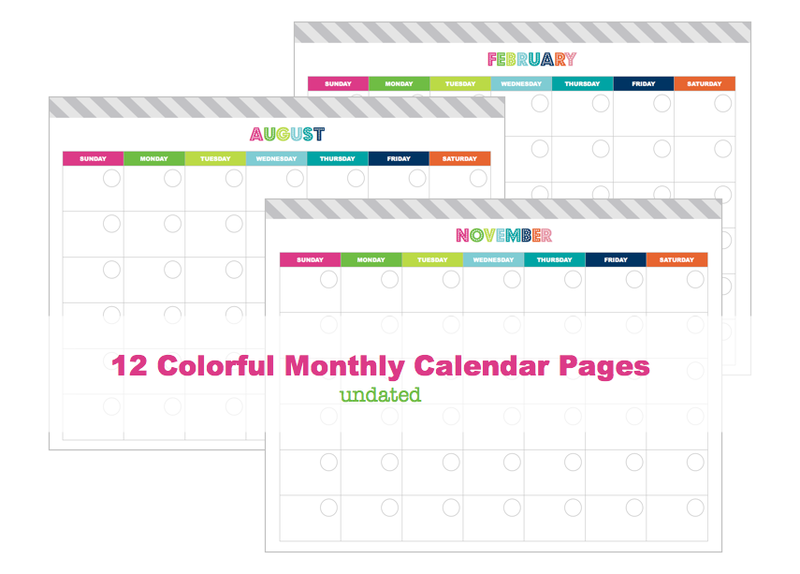 Each section has it's own tab so you can keep your planner organized! Here's a link to my step-by-step instructions on how to assemble your divider pages! This section includes all of your calendars and planners! 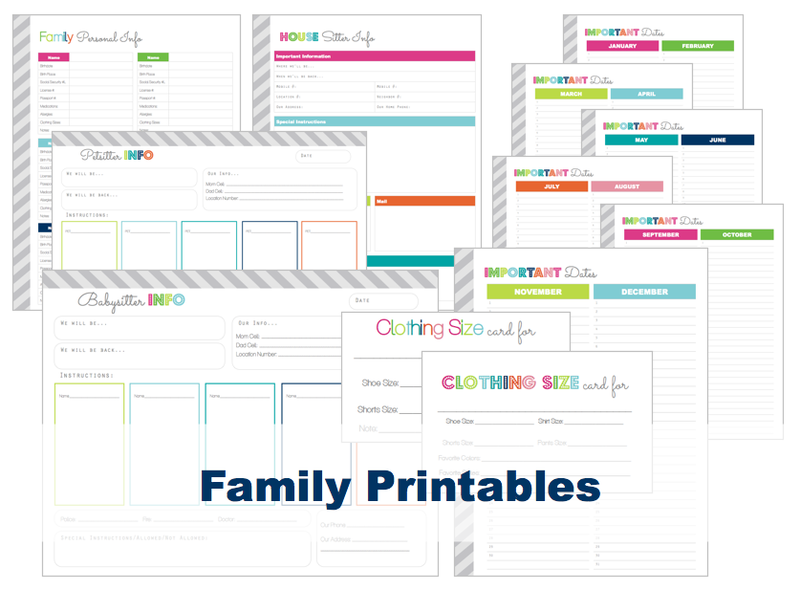 Everything a mom needs to stay organized! 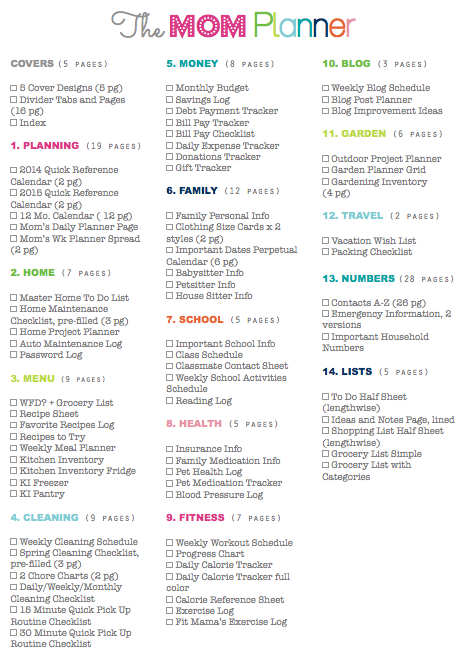 This section includes everything you need for home organization and auto maintenance as well as a password log for all of your accounts. This section will help you plan your meals and keep track of your ingredients. 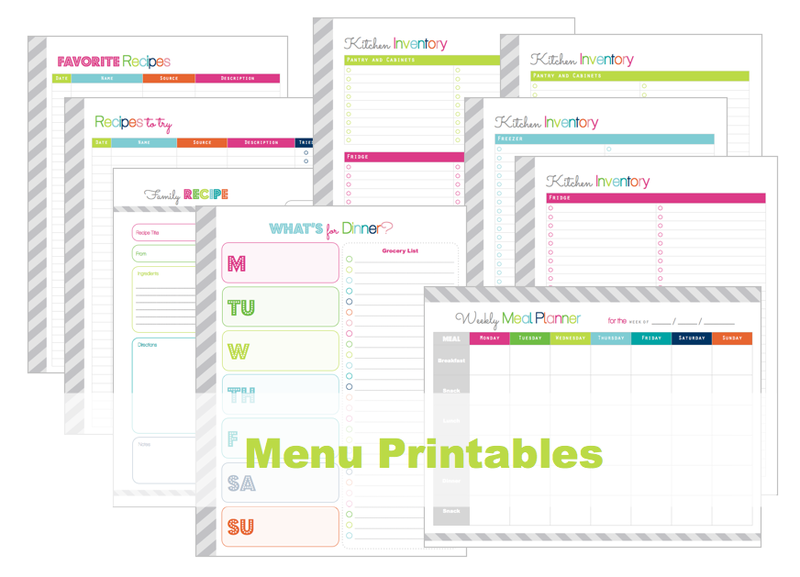 This expanded section now includes Kitchen Inventory printables! This section is full of checklists! 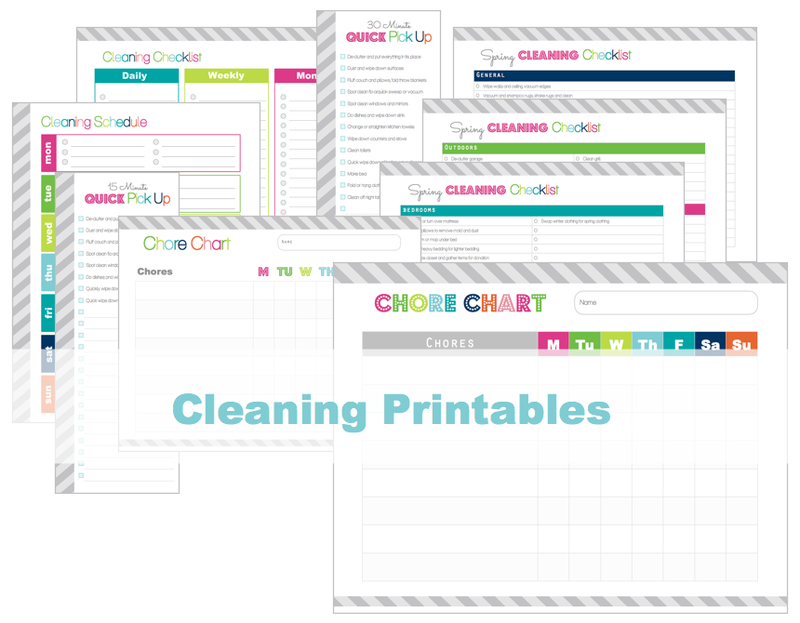 Schedule your cleaning activities or use pre-filled spring cleaning and quick pick up checklists! 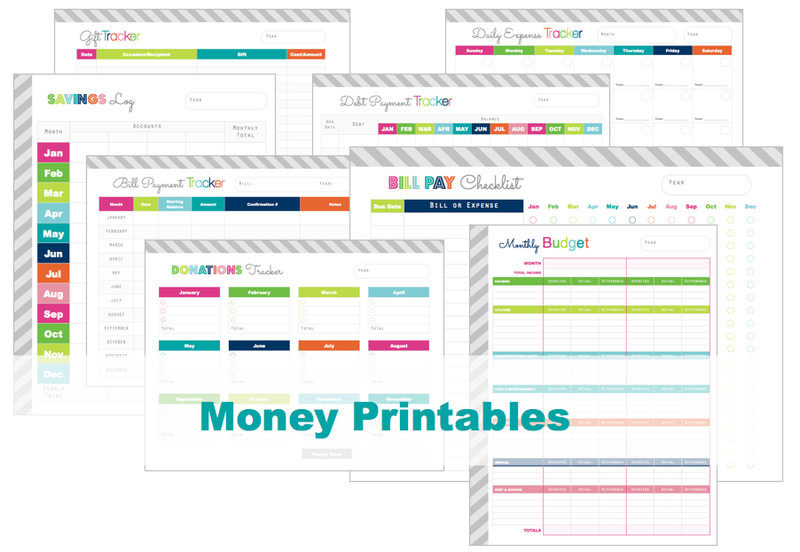 This section includes all of the financial printables from my shop! 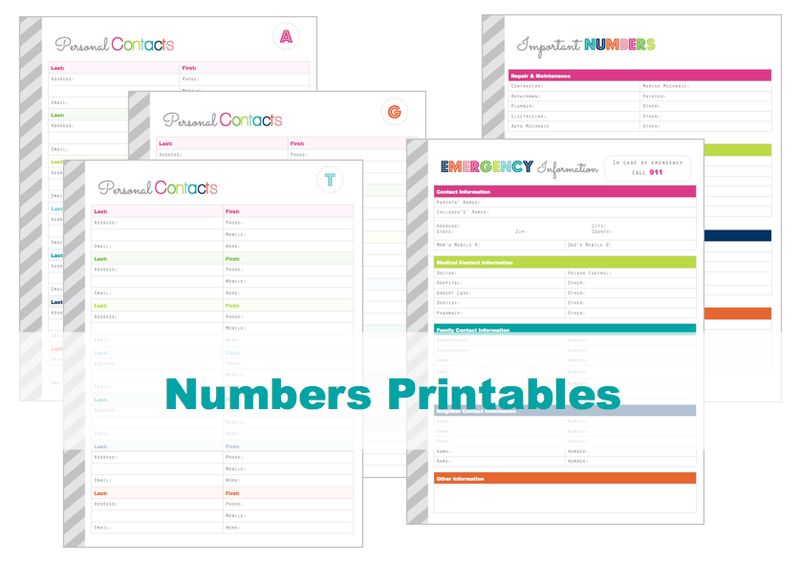 This section includes important family information and events as well as helpful printables for your babysitter or petsitter! 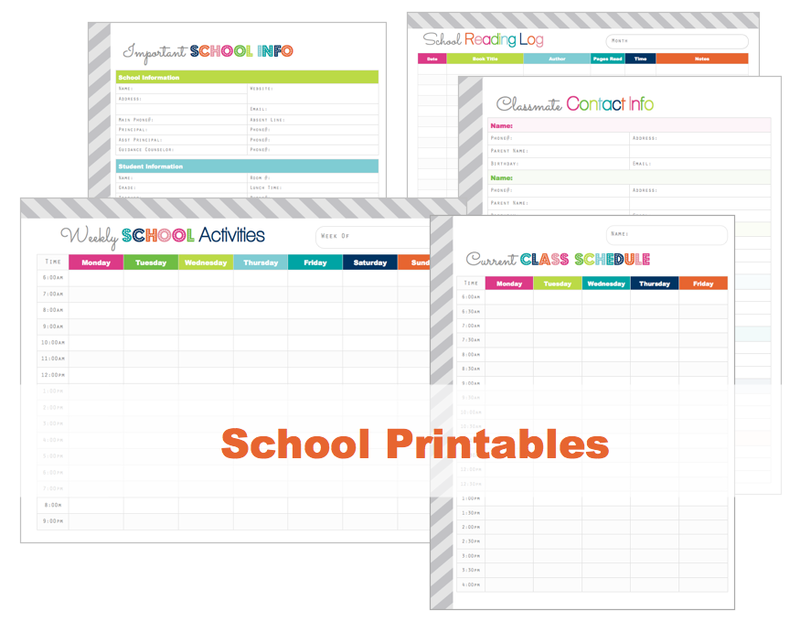 This new section was added to help mom keep important school information together! 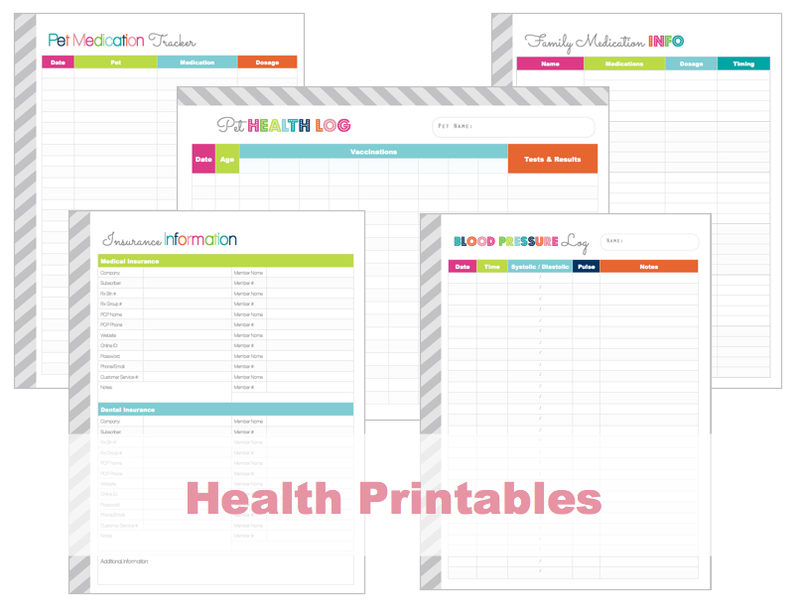 This section includes insurance info, medication info, pet health printables and a blood pressure log! This new section was added to help a busy mom stay in shape! 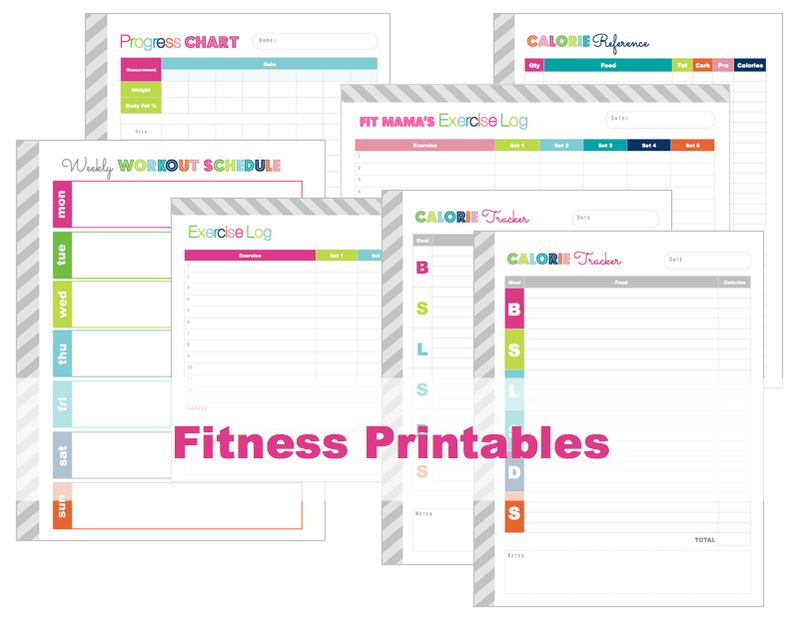 Printables to help you get your diet on track, exercise and track your progress! 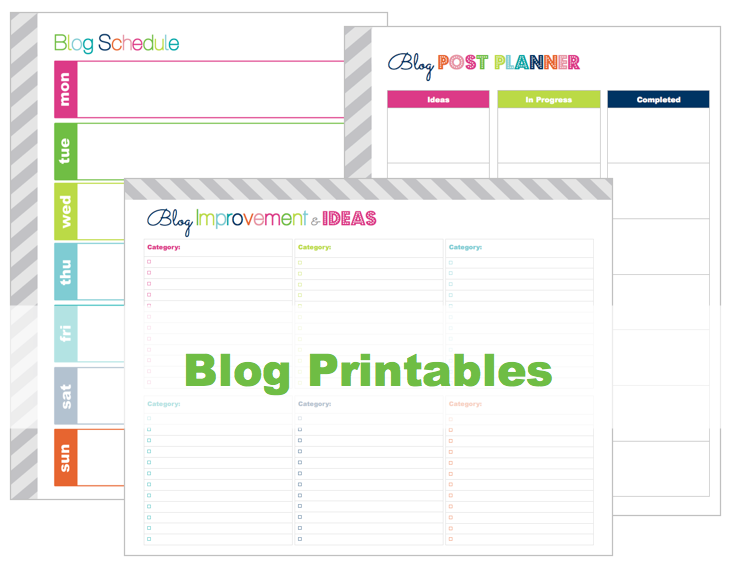 This section includes 3 printables to help you organize your blogging and organize your ideas! 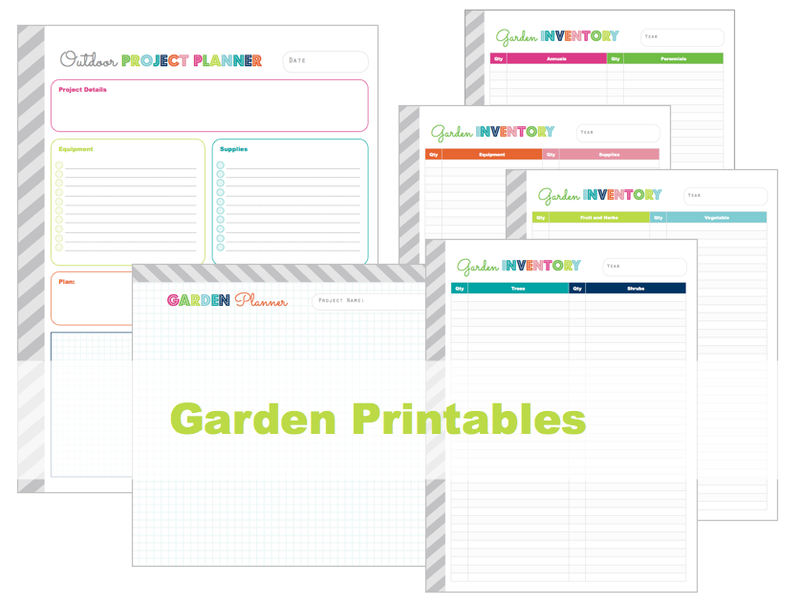 This section will help you plan your garden and outdoor projects! Draw sketches and take inventory! 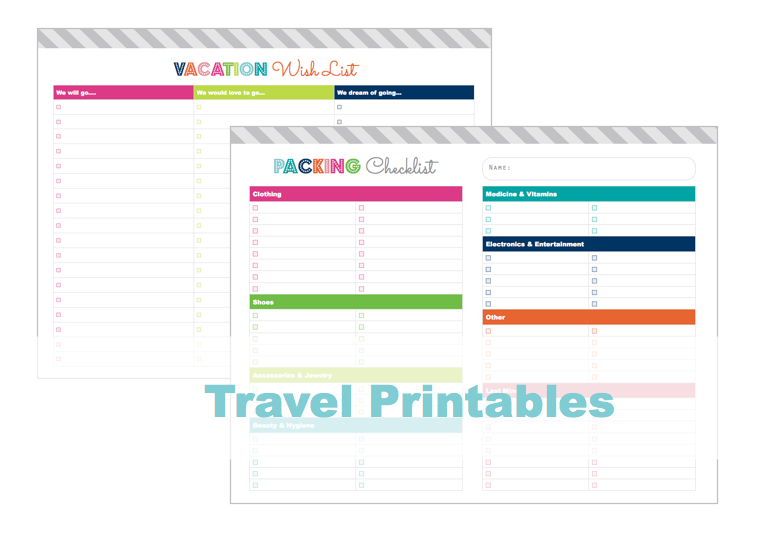 This section includes a place for you to brainstorm future trips and a helpful packing checklist! This section is all about lists! Some simple to do and shopping lists, a notes page and two grocery lists! There are 147 pages included in this planner! Purchase your copy of The MOM Planner in my shop! Purchase the Household Binder version! I hope you've enjoyed the tour! 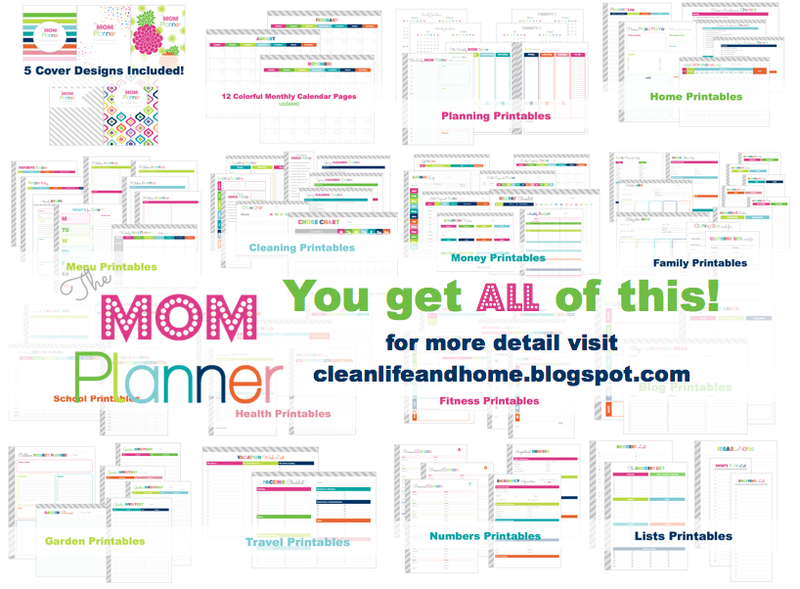 If you need any other information about The MOM Planner please contact me on Etsy or send me an email: cleanlifeandhome@yahoo.com. This is gorgeous!!! Going to buy right now! Well done! This is going to help me tons to make the best out of 2015! I was just wondering if these are editable so I can customise them specifically for my needs? Hi McKenna! The pages are non-editable. Each listing has a SPECS section which lists important details about the planner/page like page size and formatting. Agreed. This would be exactly what I need in A5 size. Beautiful! Nicole, I LOVE your planner!!! Are there any pages in your Shop that are not included or is this an all-inclusive planner (outside of the small business planner)? It is a great idea of home management. There is a Household Binder version that does not have the word "Mom" on any pages or the covers. 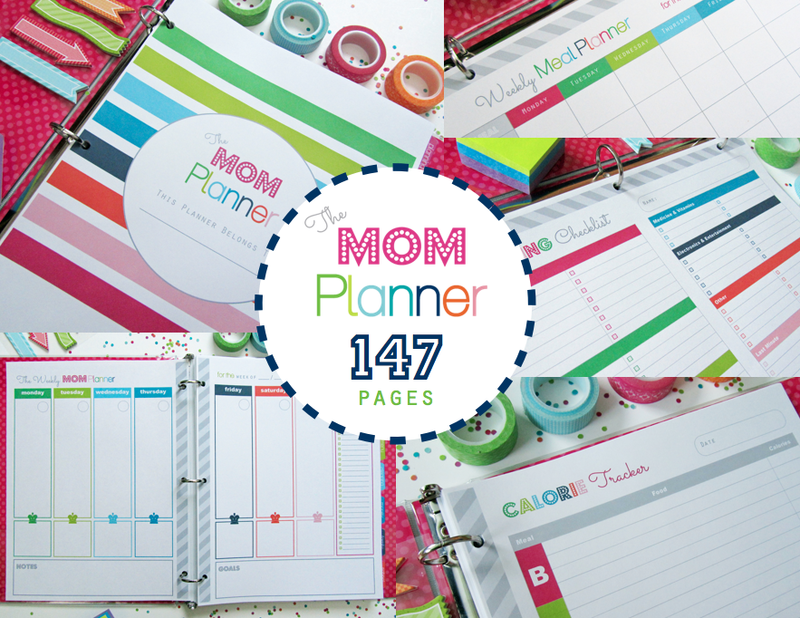 The Mom Planner version only says "Mom" on the covers, the weekly spread and the workout log. Love this! I am also looking for the ARC junior sized pages. Are they available? Hi Nicole! I love this, but need it in A5. Do you have that available? Great ideas there. I love the idea of a kitchen inventory. It really appeals to my slightly obsessive needs! I don't have any orders under your name. You will need to contact my through Etsy so I can look up your order invoice. Your files are an Instant Download so you should be able to download directly from your Etsy account.